For many home gardeners, it's not the lack of desire to work in the garden, but the lack of time to do the work. Wouldn't it be nice to relax on your patio, look out into your beautiful landscape, and know that the shrubs you've planted are growing just fine all on their own? By choosing low maintenance varieties, it's easy to make that dream a reality. Here are five top-rated shrubs you'll love to grow. Whether you've inherited a high maintenance landscape in your new home or chosen plants that require too much of your time, you can make a change to an easier lifestyle. When you swap the most time-consuming plants in your garden out for those that are easier to maintain, you'll have more time to enjoy the garden rather than seeing it as a chore. 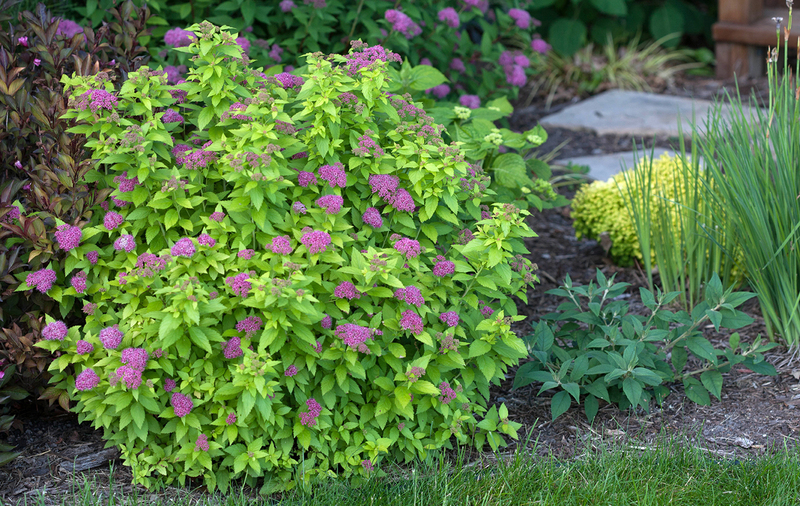 Double Play® Gold spirea shines in the landscape from spring to fall with little to no pruning needed. 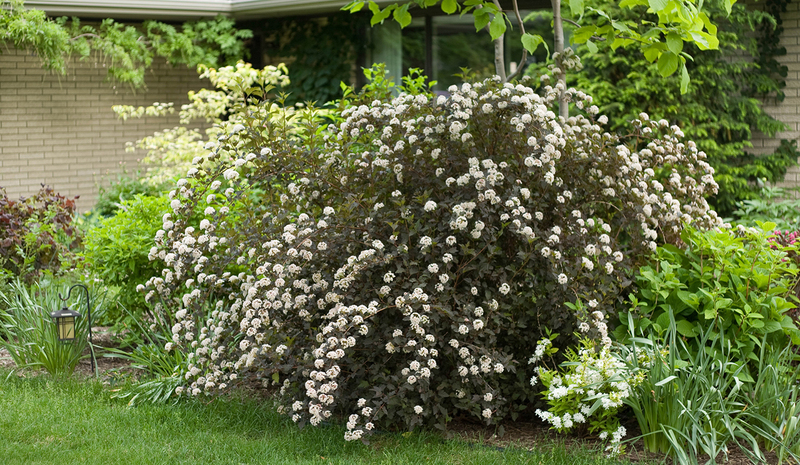 The Double Play® series of spirea offers eight different varieties, including those with red, pink, and white flowers and a multitude of foliage colors. They range from 1 ½-3 feet tall and are commonly used in mass plantings, foundation plantings, and even as short hedges. Plant them in full sun to part shade in zones 3-8. Varieties in the Double Play® series were selected for their outstanding foliage and flower colors that make these shrubs showy from spring through fall. Deer tend to stay clear but hummingbirds enjoy their vibrant blooms. See all eight colors here. 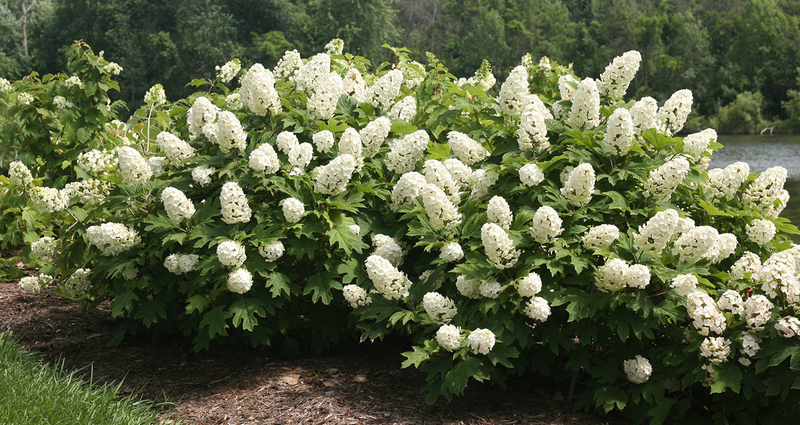 Native oakleaf hydrangeas like Gatsby Gal™ are easy to grow in sun or part shade. Hydrangeas don't need to be fussy plants, and some don't require any pruning at all. When you choose native oakleaf hydrangeas, you won't need to worry about having perfectly acidic soil that stays moist all the time, and you won't need to worry about when to prune because they don't require it. Gatsby oakleaf hydrangeas typically grow 5-8 feet tall with green, oak leaf-shaped leaves and large panicles of white flowers that begin to appear in early summer. Cooler fall temperatures draw out purple tones in the foliage and make the flowers blush. Try growing them as a background for your perennial border in full sun or at the woodland's edge in part shade in zones 5-9. Oso Easy® Cherry Pie is one of the taller members of this series, growing 2-4 feet tall and wide. It is especially stunning when planted en masse. Roses are probably not the first plants that come to mind when thinking of easy maintenance shrubs, but today's modern landscape roses are far easier to grow than traditional long-stemmed types. Their exceptionally disease resistant foliage, tidier habits and summer-long blooms make them as easy to grow as any other shrub in your landscape. The Oso Easy® series of roses truly live up to their name. Ten vibrant varieties in this series range from 1-4 feet tall and typically grow a bit wider than they are tall. 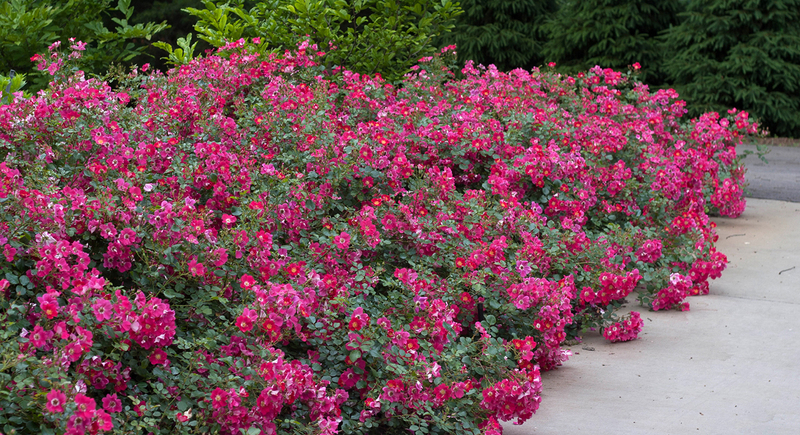 While most landscape roses are hardy in zones 4-9, this series includes several varieties that are cold hardy all the way down to frigid zone 3. They are oh-so easy to grow in sunny landscapes and containers with very little maintenance required. Evergreen North Pole® arborvitaes make an excellent living screen or focal point in the landscape. 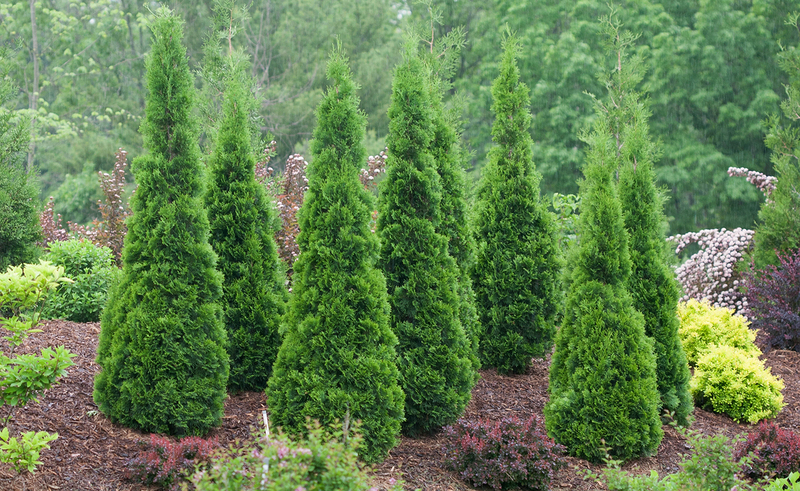 You'll enjoy the rich green, evergreen foliage of North Pole® arborvitae and the privacy it provides all year round. This zone 3 hardy, columnar shrub is fast-growing and more narrow than common varieties like Emerald Green, maturing to just 3-5 feet wide and 10-15 feet tall. And since it is more resistant to winter burn, its foliage keeps its dark green color even through the coldest months. Plant it in a sunny to partly sunny location and let it go to work for you, providing a screen along your back fence, acting as a living "fence," or plant a matching pair by your front entrance. Summer Wine® ninebark matures into an elegantly arching form naturally without pruning. Though it's not too commonly known, ninebark is a graceful native shrub that deserves a place in more landscapes across zones 3-7. Summer Wine® is one the most popular cultivars, given its elegant arching form and excellent resistance to powdery mildew. Plant it in full sun and watch it grow 5-6 feet tall and wide in alkaline or acidic soils. If you are the type of gardener who likes to prune your shrubs into neatly rounded shapes, ninebark is probably not for you. Much of its charm comes from its natural form that is achieved without pruning. The densely arching stems and deep purple foliage are dotted with pale pink flowers every spring. Its dark tones make it the perfect backdrop for colorful flowering perennials in mixed borders. Want to learn more about easy maintenance plants? Discover more easy maintenance plants for your landscape and containers here. Find out which Proven Winners annuals were rated the top 10 easiest to maintain here. Explore a Pinterest board of Easy Garden Plants.